Explore, play and learn through the arts in childhood settings. 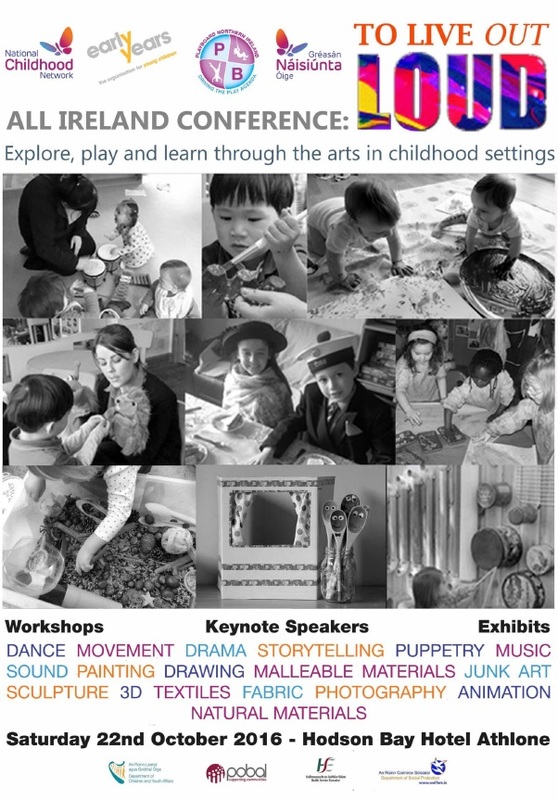 The conference will provide valuable information and guidance as to how to best provide for a range of play based arts experiences for children in a range of settings using a variety of key note speakers, workshop presenters and project displays drawn from the arts, education, health and play communities on the island of Ireland. Seminar Cost (Including lunch/Key Note Speakers/2 Workshops) €65 per person. BOOKING AND PAYMENT TO NCN IS ESSENTIAL BEFORE FRIDAY 14TH OCTOBER.